Medical Media Images Blog: New Interactic Chiropractic X-Ray and MRI images created to show Chiropractic Conditions and Treatments! New Interactic Chiropractic X-Ray and MRI images created to show Chiropractic Conditions and Treatments! 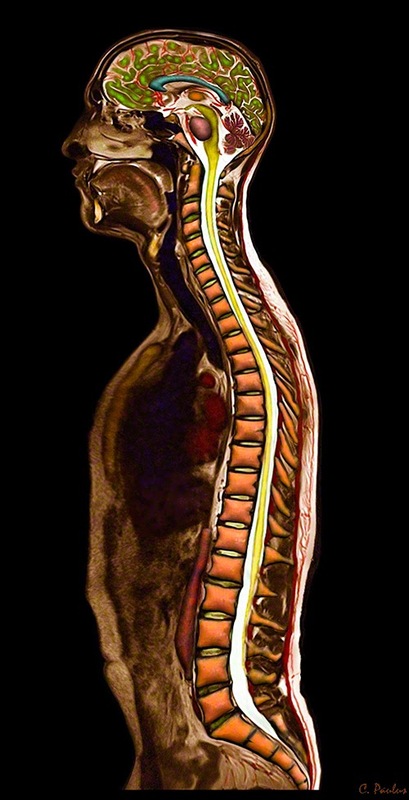 Medical Media Images has created a new series of Chiropractic X-Ray and MRI images. Some of these images are now available in the unique "interactive" format. This type of Interactive Image brings the entire image to life. As the viewer's mouse cursor moves over the image, interactive image tags appear which display text for specific structures visible on the image. This is a great new tool to allow the viewer to interact and learn from the image. The above image shows the low back (lumbar spine) from the side. The front of the Spine is on the left for each of the two images. The left sided Color MRI image shows an abnormal curvature of the low back, which is emphasized by the red line. The image on the right shows the normal C-Shaped low back curvature. Images like this one allow Chiropractic Physicians to explain common Chiropractic Conditions to their patient and the public. These images are ideal for Chiropractic Websites and Health Portals!